Kate is almost thirty, almost engaged, almost settled in her career as a writer-but is deeply dissatisfied. When her best friend Em returns from a year in Paris, with a surprising new lover in tow, everything in Kate's world begins to slowly unravel. As Kate and her boyfriend Pete leave the bustle of Brooklyn to join Em and her new lover Nick upstate, it promises to be a peaceful weekend for all of them. 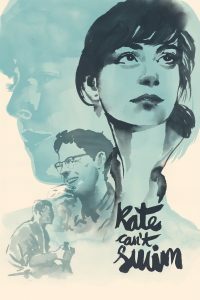 It's Kate's chance to reconnect with Em, the only one who truly understands her, and to take a step back from life as she knows it. But as the weekend progresses, it becomes clear that Em doesn't need her anymore, and Kate has to face her dissatisfaction alone, which leads her down an experimental - and destructive - path.